Tasting Notes: In appearance, this wine is of a golden colour. On the nose, we can find white fruits that mingle with the French oak aromas. On the palate, this wine is well-balanced (the authentic expression of common sense and craziness). It is elegant and soft and the pear and apple aromas combine well with those from the oak. Food Matching: All types of Mediterranean fish (blue or white), seafood rice dishes and stews such as Seared Garlic stew. Vinification: The fruit clusters were handpicked on fruit days and vinified following the canons of the Lunar Calendar 2011 – 2012. The majority of the clusters come from old vines and vineyards that have not been ploughed for more than 6 years. The SPIDERS in the vineyards act as a natural insecticide. There are approximately 15 spiders per hectare that weave webs with a width of 40 to 70 cm that reach from row to row trapping the much-feared Piral butterflies and moths. The weeds are cut away (this means no dust or fine particles are scattered into the air). The overripe xarel·lo clusters are lightly crushed in a vertical plate press. They are then macerated and fermented in stainless steel tanks at a low temperature to enable us to extract and maintain the aromas. The wine is then aged in new French oak barrels (Allier) for 9 months. 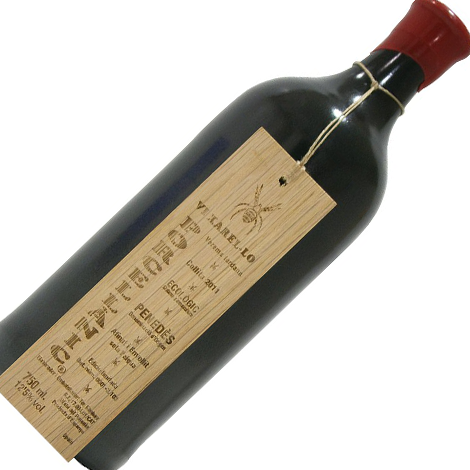 After the barrel aging process, the wine is bottled in 750 ml ceramic containers (this material preserves the wine from the negative effects of light). 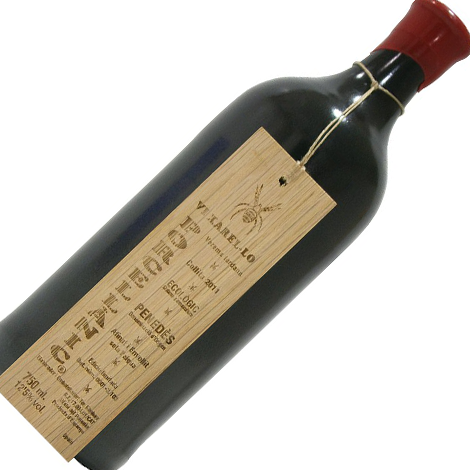 The bottle is therefore corked, sealed with wax and stamped. The bottle aging process is done underwater in a vertical position in underground deposits in non-negative geobiological zones. Further Considerations: If the bottle has been shaken, laid down in a horizontal position or transported, it should be left for a minimum of 2 days to settle in a VERTICAL position. At no moment should the bottle be stored in a horizontal position, as the wine would be served in a hazy or non-clear state. Best served without disturbing the contents of the bottle. This is due to the fact the wine has not been filtered.